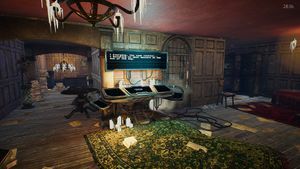 MonteCrypto is an atmospheric steampunk puzzle game developed by Concrete Games, who masqueraded as Gem Rose Accent (an anagram of concrete games) until the game's completion. 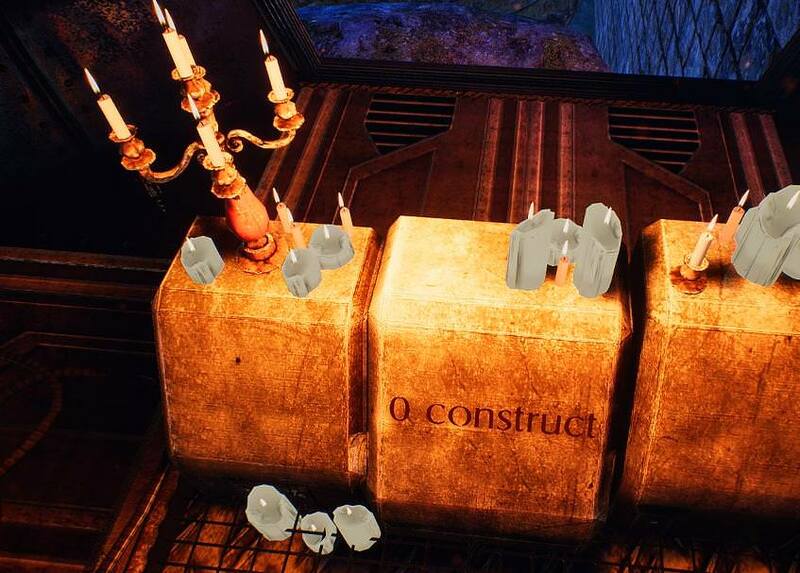 It consisted of 24 "mind-bending enigmas" which it challenges players to solve. The first player to solve all 24 puzzles was to be awarded 1 Bitcoin. To reinforce this reward claim, Concrete Games revealed their public wallet address, so that the funds could verified. The reward has since been claimed (full write-up by the winners). 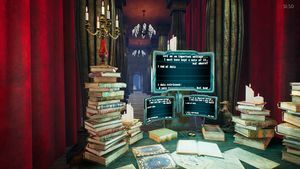 Each puzzle, or "enigma", was solved by completing a certain task in order to obtain a keyword. Once all 24 keywords were collected, the wallet could be opened and the bitcoin could be obtained. 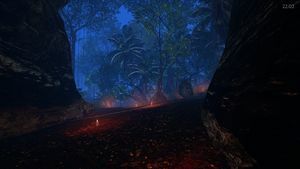 Players were encouraged to take any approach they choose in order to pursue the enigma's solutions, whether as a lone wolf or a contributor to one of the many groups trying to out-solve one another. 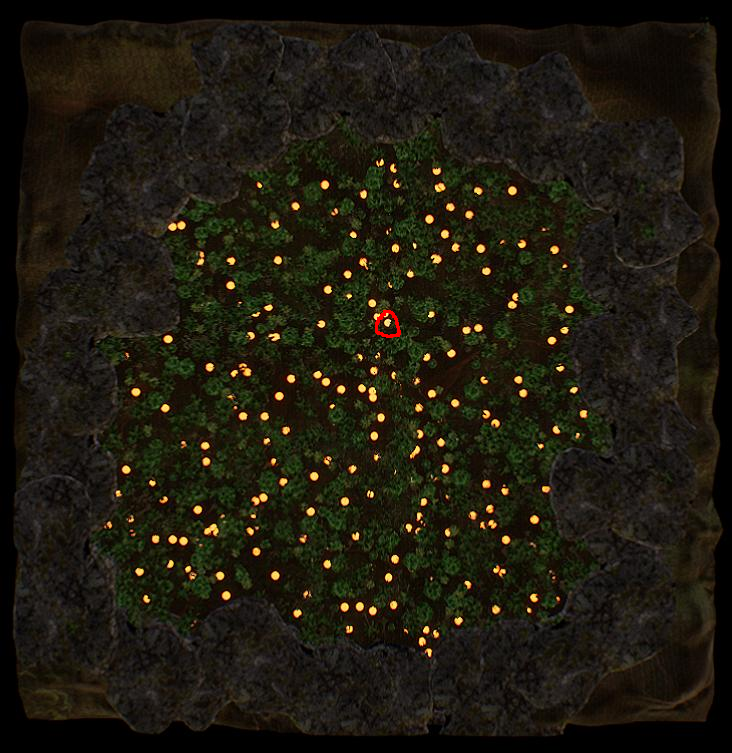 Below is a map of the maze. 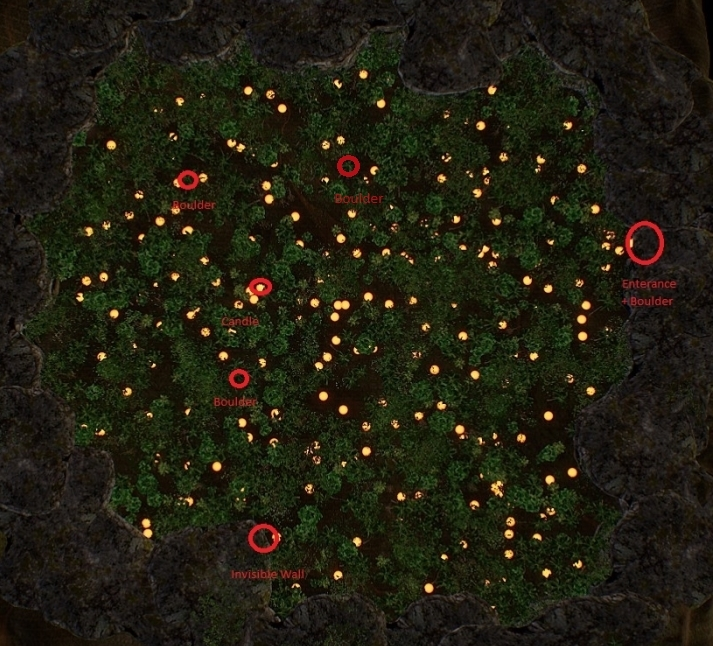 Orange circles represent known compass locations, red circles represent known skull locations, and colored lines represent known paths to rooms. This alternate map shows the color combinations for each carpet/wall set. Step-by-step directions to each room. 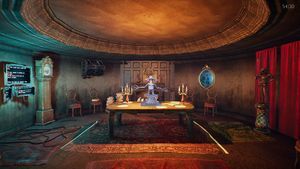 List of folders and what rooms they are about. 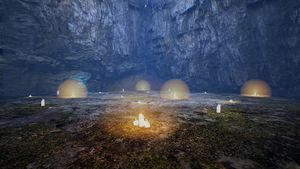 This pastebin contains clues, phrases, and general information gathered by datamining the game, as well as solutions to all the labyrinth doors. The information is out of context and thus difficult to apply. Transcriptions of all skull's audios found throughout the maze. List of all achievements with information about how to obtain each. BTCRecover - An open source Bitcoin wallet password and seed recovery tool designed for the case where you already know most of your password/seed, but need assistance in trying different possible combinations (Video tutorial demonstrating how to build a token list). CryptoChallenge Helper v1.2b - A useful community-made cheat tool with a GUI. Report bugs and ask questions in their Discord. 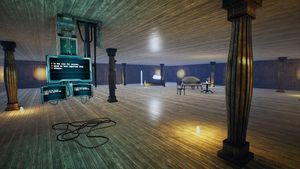 UE4Cheat.dll - found at this pastebin. 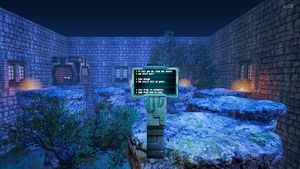 A very useful community-made set of commands and tools for cheating and exploring game assets loaded into RAM while you play the game. Use with CryptoHelper to bypass teleport protection (causes game to reset when you teleport). Cheat Engine - A popular cheating tool you can use to inject dlls into your game, among other things. UE4PakUnpacker by haoose v0.5 - A tool for unpacking .pak files, which is required to explore and modify game files. u4pak - Unpack, pack, list, test and mount Unreal Engine 4 .pak archives. UModel - A tool for exploring UE4 assets and other game-related files. 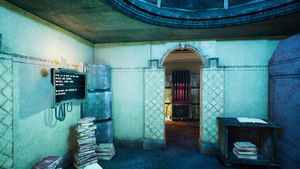 The timer is activated by walking through it, or by noclip/teleporting to the walkway above the portal and walking over it. Be warned that you download and use these tools at your own risk! 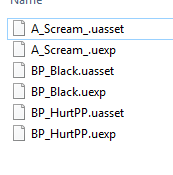 Injecting these (and possibly any) .dll files into the game executable could change certain outcomes within the game due to buggy programs or quirks inherent to the way the antitp is fooled. Information uncovered while playing with a .dll injected might differ from information found playing clean! If you don't want to use Cheat Engine to "noclip", follow these instructions (video tutorial) to use a third-party program created by a community member to navigate the maze with a commands and hotkeys issued in-game. The dll also allows you to dump data about the game into a text file (nametest MVP). Cheat Engine or another like injector is still required to inject the executable into the game. 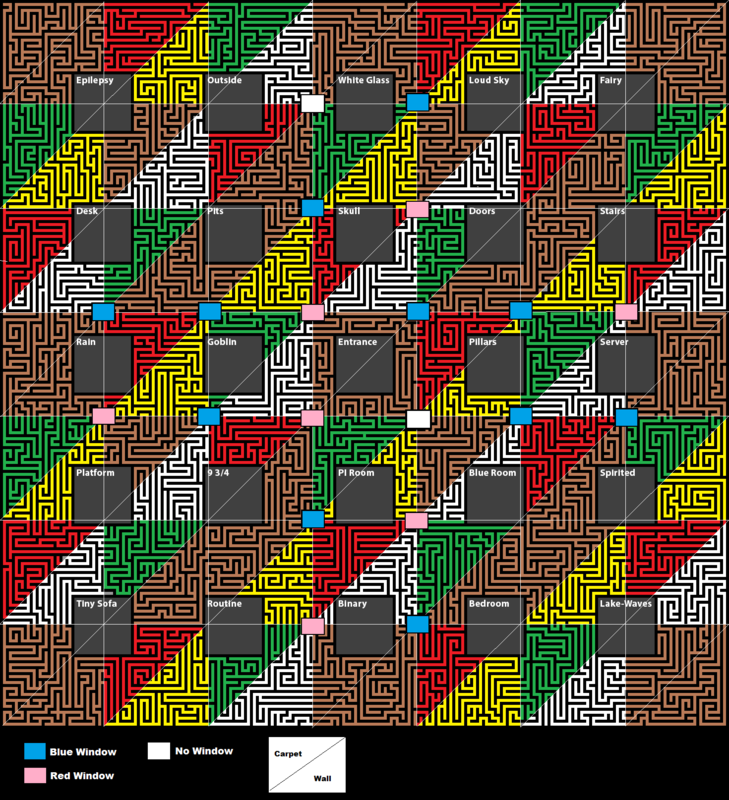 It is possible to use Cheat Engine to navigate the maze. To automatically build your cheat table, save this pastebin as a .ct file, then run the file and select MonteCrypto as the process (you must have Cheat Engine installed). The script will find the x,y,z coordinates for you as well as the gravity address. This alternate config causes your game to not reset at all (your time wont run out, teleport wont kick you, falling down wont kick you) and your timer to count up after hitting 0. To use it, do the same as above, then right-click the last memory address and press "disassemble this memory region". Then double-click the call instruction, write NOP, and confirm. Be on the lowest point of the lobby, do 'first scan' values between -280 and -240, value type 'float'. Go to the highest point of the lobby, do 'next scan' value bigger than 100 (float for all values). Go back to the lowest point, do 'next scan' value smaller than -200. Repeat step 2. And 3. until you have 1-50 addresses in the list, ctrl + A to select them all then press the small red button to move them to the bottom window. Do ctrl + A to select all in the bottom window, press enter and set the value to, for example, 1000 and you should be on top of the lobby room. After that you can change the addresses one by one to find the correct one or just keep changing all of them like you just did. Find your .pak file, "CryptoChallenge-WindowsNoEditor.pak". It is located in \SteamLibrary\steamapps\common\MonteCrypto\CryptoChallenge\Content\Paks. Download UE4-pak-file unpacker by haoose v0.5 or any UE4 pak unpacker of your choice and UModel. Run the program and choose the .pak file you identified in step 1. Click "unpack" and wait for the process to finish. After the unpack, there will be multiple folders created in \SteamLibrary\steamapps\common\MonteCrypto\CryptoChallenge\Content. One of them will be CryptoChallenge and will have a folder called Enigmas. Launch UModel and explore the folders using it. When opening models, choose UE 4.16. Backup your .pak file before proceeding. MonteCrypto runs off the unpacked files, not the packed. 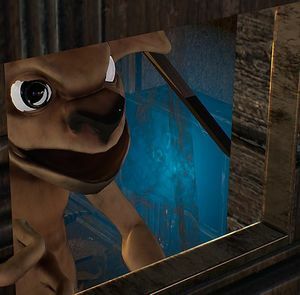 Thus, files can be manipulated and experimented with to an extent to test their effects in-game. Failing to load after deleting the .pak is possibly due to files saving in the wrong format. If you cannot load, re-download the .pak, re-unpack, and try again. 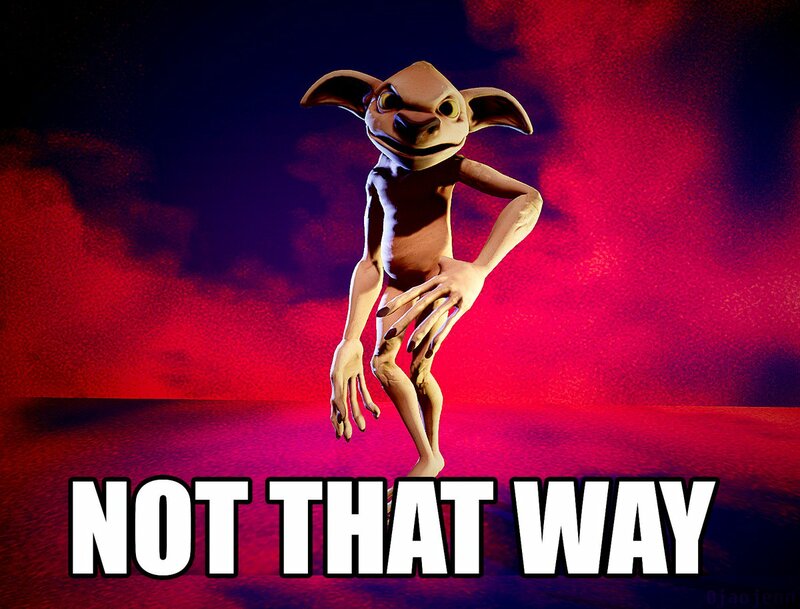 Many theories have been put forward, but none have yet yielded the precious Bitcoin. What is known for sure is that a tool like BTCRecover will likely be required to order and assemble the correct words into a valid password, per the developer's FAQ page and a strange reddit post they made days before launching the game. One which has yet stood the test of trial is the Pi digits 121 - 144 sequence, 093844609550582231725359 (including the 3, it would be 709384460955058223172535). 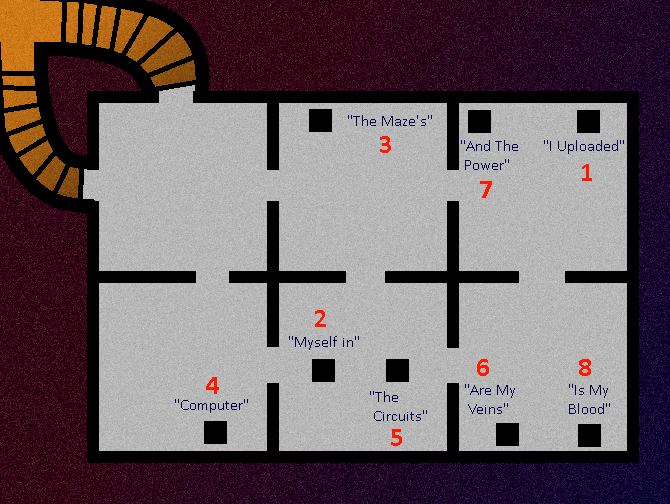 This sequence is mentioned in the game in the "not that way" rooms found at every dead-end in the labyrinth (look closely at the right wall) and in the Mayor's house above the map. If this sequence is to be used to order the words, then it would be on an index basis; the numbers before each word would be used to order the words according to that number's occurrence in the Pi sequence. Since there are duplicate numbers within the sequence, multiple possibilities will exist, but less than a flat-out brute-force would have to attempt. According to the developer's FAQ page, "A wallet.dat file is a file that contains the private keys required to unlock the wallet. It has been encrypted with a 24 words-long password using the BitcoinCore client. By playing MonteCrypto: The Bitcoin Enigma and solving all the enigmas, you will be able to decrypt the password." Download the Bitcoin Core client. Close the client if it’s already open. Take the wallet.dat from the game files (<SteamFolder>\MonteCrypto\CryptoChallenge\Content\CryptoChallenge\Datamaps\wallet.dat) and paste it into the location of the old wallet.dat. Use BTCRecover or a like tool to assist in ordering/assembling the password (Video tutorial demonstrating how to build a token list). Open Bitcoin Core client, then open the wallet.dat you pasted and enter in the 24 word password to decrypt the wallet. 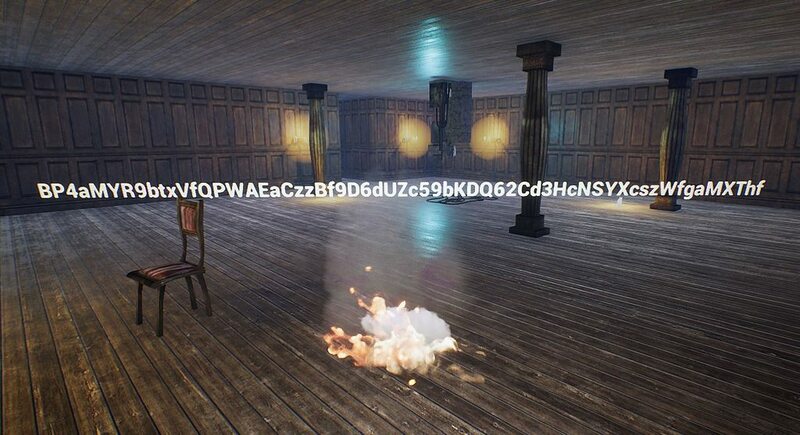 Run “dumpprivkey 19mb9mZ1w953zBd7viHwWK2ZhPmcbMQh4Q” to get the private key without downloading the entire blockchain. Import that private key into something like Coinomi or another wallet and transfer your BTC from the decrypted wallet! Seek feedback. One's own subconscious biases, beliefs, and routines can obstruct or even totally defeat one's ability to progress. If you're wrestling with an idea you can't make heads from tails of, ping the hive mind, start talking about what you think to get things flowing. Outside feedback is one of the most potent perspective-shifting tools of all; you'll never know what you might learn from others until you speak your own mind. Take a break. If you aren't making any headway tackling an idea or theory, your brain might just need time to process all the data you've input. Play a different game for a while, or work on a hobby. Take your mind completely off the puzzle for a period - don't worry, it won't lose the data. Rather, you'll enable your mind to work through the data and allow for additional analysis. Once you start to feel stuck, step away until you get drawn back. Leverage humor. Comedy is a tool anyone can use to see known concepts in a different light. Relevant comedy can relieve your tension and allow your ideas to flow again. Make a joke of whatever has you beat, and you'll be one step closer to being able to beat it yourself. Know your limit. When you get the sense that you've got too much to chew, you're probably right. Pushing past your limit, whether in terms of data or theorizing or otherwise, will slow you down and drain your energy. When you know you're at that point, circle back and reassess your goals. Don't throw in the towel - rather, give your brain time to process the data your throwing at it into information. Try writing down everything on your mind by hand, even if just on scraps or napkins. Writing can help connect your mind to your body, allowing for data to be processed and freeing up some of your mental resources. Stay unattached. Getting "attached" to a certain outcome, theory, or solution can tunnel your vision, blinding you from important information and preventing you from progressing. Try to remain open-minded, and be willing to be wrong if the right evidence comes to light. Honestly analyze your own beliefs; the things that seem naturally true to you might be the things you're unknowingly attached to. Make sure your beliefs are aligned with empirical evidence, even when it hurts to accept you had it wrong. If you can pull this off, you will reap the benefits of pure, unadulterated logic. Folder Number corresponds to a given room's EN# folder within the game's files. X:Y Coordinates are the X:Y coordinates for a given room on the map above. Directions are how to get to a given room. Enigma is a transcription of a given room's console. Clues are discoveries made by the community about a given room. Solution is a potential or definite word solution for a given room, together with steps for reproducing the solution. DIRECTIONS: Turn-by-turn directions to a given room. 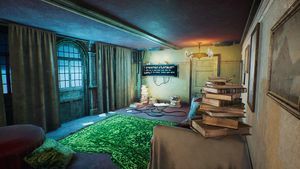 ENIGMA: The in-game riddle for a given room. CLUES: Hints or other information pertinent to a given room. SOLUTION: Verified solutions for a given room. 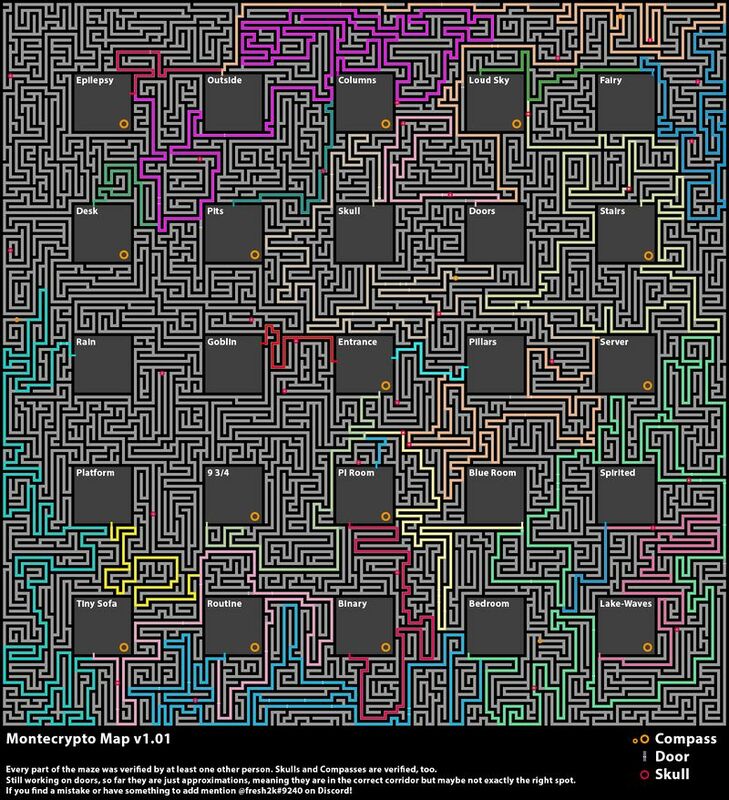 Note that the routes listed here are not necessarily the fastest routes through the maze. Thanks MeakGG for the images and directions! DIRECTIONS: Follow the Blue Paint, then break off, follow papers. Take a left at pink light/finger, Right 3x (Hand on last), (Left then Right) 3x, Left 2x, Take 2nd left, Left, Right, Left 3x (last is away from a door), Right 2x, Left 4x (through lots of doors), Turn around at Sign, Left (Green carpet turns to red + door), Left 2x, Right. The miracle code will be exhibited. 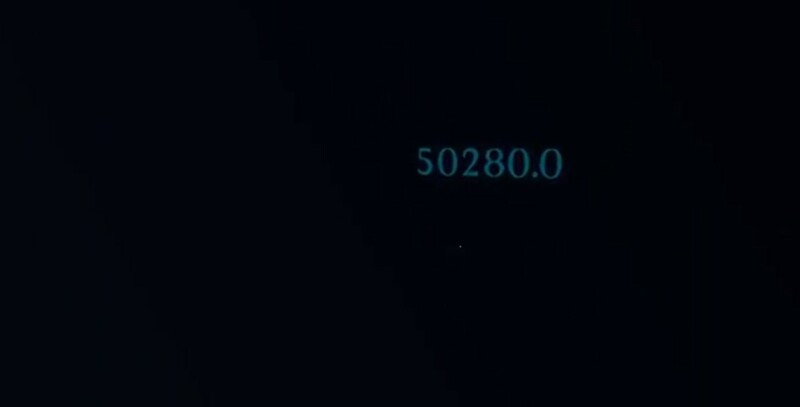 CLUES: When your coordinates are X = 5452.587891 Y = 8181.960449, without noclip, the victory sound is triggered and all candles are erased. However, the word for the room is yet to be located. SOLUTION: 5 mzuzwana - Obtained By: Removing certain game files (namely the BP_Black files), word then becomes visible inside room. The solution is considered suspect because it relies on editing game files in order to reveal. DIRECTIONS: Follow the Blue Paint, then break off, follow papers. Take a left at pink light/finger, Right 3x (Hand on last), (Left then Right) 3x, Left 2x, Take 2nd left, Left, Right, Left 3x (last is away from a door), Right 2x, Left 4x (through lots of doors), Right (Green carpet turns to red + door), Left 2x (pass 2 doors), Right, Left 2x, Right, Left. I must have kept a note of it, but where? SOLUTION: 5 persamaan - Obtained by: The twelfth commit on GitHub added <img date='a very very long time ago' title='confidential' clue='5 persamaan' height='100%' width='50%'/>. The img date, listed as 'a very very long time ago', matches part of the enigma, leading players to suspect the "important message" referred to is the commit. Solution is considered suspect because it is found entirely out of the game and may be a mislead. DIRECTIONS: Follow the Yellow Paint, break off, follow papers to Blue Room. Turn around, Second Right-hand. Left-hand, D 3x, Left 5x, Right, D, Right, D 4x, Right, D 2x, Right 3x, Left, Right 2x, D 2x, Right, D 2x, Left, Right, D 3x, First Left, Right, First Left, Third Right, Left 2x, Right 2x, D, Right, D, Right, Left 2x, (Turn around from inside Routine, face out), Right, Left, D 2x, Right 3x, Door (take right immediately), D 2x, Left 2x, Right, D, Right, (Turn around in Meditation), Right, Left 2x, First Right, First Left, Right 2x, D 2x, Right, (right after door), Right, Second Right, Left 2x, Right, D 2x, 2nd Right, Right 2x, (after this point, changed to wooden floor and a door), Left 2x, Right, Left, Right, D 2x, take Right after, Left. 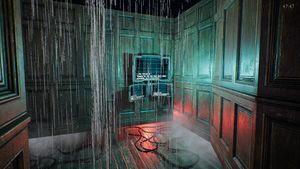 CLUES: There is a Temple area above the room at X: 6243.0 Y: 24395.0 Z: 50280.0 (you must load the Rain room to load the temple). 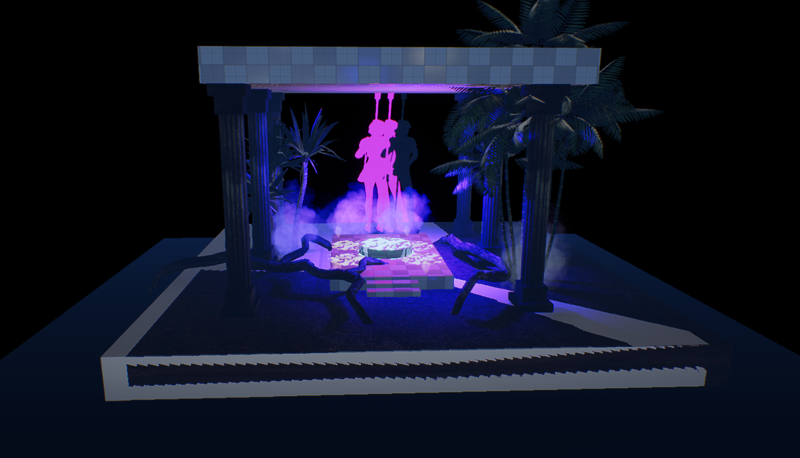 The Z-coordinate for the temple is displayed in the game behind a wall in the rain room. 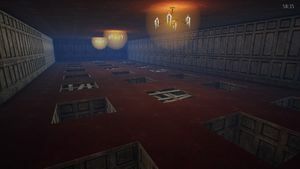 It is possible that the enigma is advising the player to cheat (ie be dishonest) by revealing to them the height of the temple portion of the room, which is only known to be accessible by cheating. 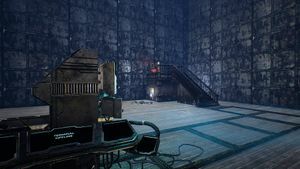 Entering the temple triggers the victory sound, which is the game's usual indicator that the enigma is solved and the word is exposed. 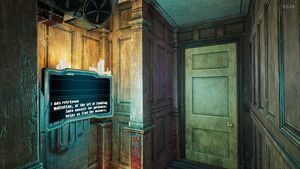 Thus, it is extremely likely that some or all of the data present in the temple pertains directly to the solution for this room, which could be another number+word or could be a password to the remaining locked zip file. Google Doc analyzing the flashing red mannequin pattern. This data, if accurate, proves that the lights flash at multiple varied lengths. This means the data cannot be Morse code or binary, but it could some other type of data since the lengths follow a pattern. Intervals represent time on/time off. Visual representation of the data with some analysis. 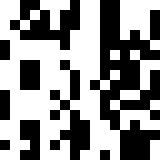 Strange data of some kind which comprises the data matrix-esque codes in the Temple portion of the room (T_0.tga, T_1.tga, T_2.tga, T_3.tga, T_4.tga). 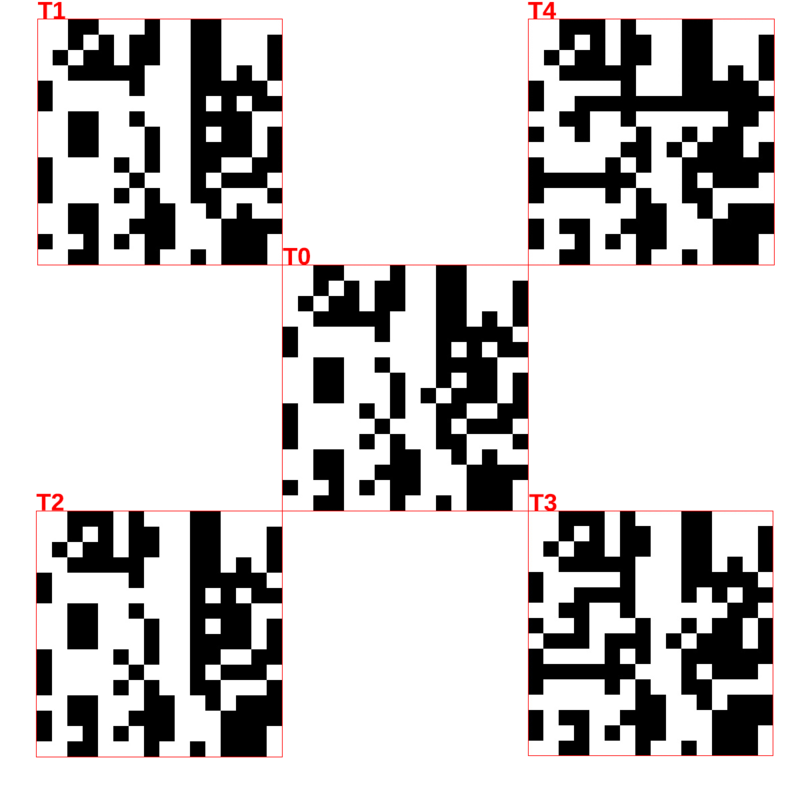 From top-left to bottom-right, they represent grids T1, T4, T0, T2, T3, as such. Many, if not all, possible rotations/configurations of the individual matrices. Google Drive containing many of the different attempts for download. SOLUTION: 5 ola - Obtained by: See write-up by winners. DIRECTIONS: Follow the Yellow Paint, then break off, follow papers to Blue Room. Turn around. 2nd Right (at hand), Left (left hand), D 3x, Left 5x, Right, D, Right, D 4x, Right, D 2x, Right 3x, Left, Right 2x, D 2x, Right, D 2x, Left, Right, D 3x, First Left, Right, First Left, Third Right, Left 2x, Right 2x, D, Right, D, Right, Left 2x, (Turn around from inside Routine, face out), Right, Left, D 2x, Right 3x, Door (take right immediately), D 2x, Left 2x, Right, D, Right, (Starting at Meditation with your back to the door), Left 2x, Right 2x, Left, Right 2x, Second Right, Right, Left 2x, Right. SOLUTION: 5 velte - Obtained by: The room creates 10 .sav files in C:\Users\[username]\AppData\Local\CryptoChallenge\Saved\SaveGames, solved using the above steps. DIRECTIONS: Follow the Yellow Paint, then break off, follow papers to Blue Room. Turn around, 2nd Right-hand, Left-hand, D 3x, Left 5x, Right, D, Right, D 4x, Right, D 2x, Right 3x, Left, Right 2x, D 2x, Right, D 2x, Left, Right, D 3x, First Left, Right, First Left, Third Right, Left 2x, Right 2x, D, Right, D, Right, Left 2x, (Turn around from inside Routine, face out), Right, Left, D 2x, Right 3x, Door (take right immediately), D 2x, Left 2x, Right, D, Right. Meditation, or the art of looking into oneself for guidance, helps us find the answers. 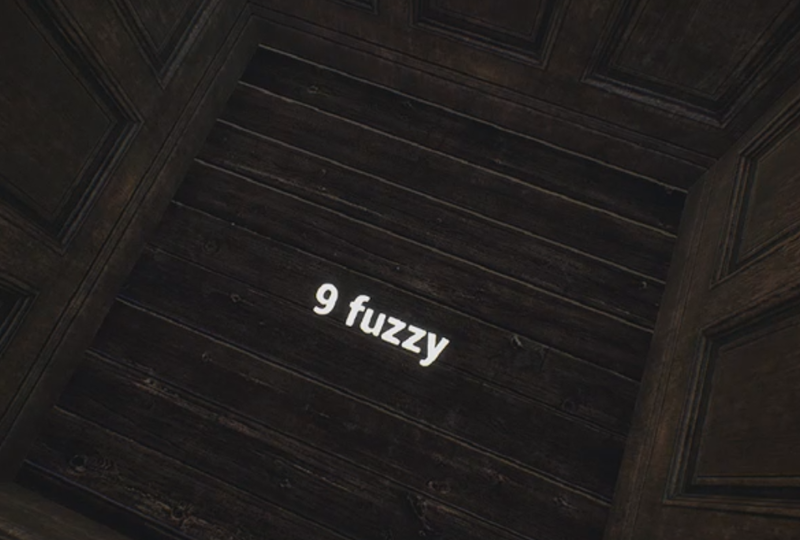 CLUES: Solution to the door to tiny sofa is your own SteamID64, obtainable here. .---- / ..-. --- .-. -.-. . / .- -. -.. / .... . .- .-. - / .- -... --- ...- . / .- .-.. .-.. / . .-.. ... . / -... .-. .. -. --. / .--. . .- -.-. . / .- -. -.. / .-.. --- ...- . / .-. . .- -.. / .-- .... --- / -.-- --- ..- / .- .-. . / .. -. / . ...- . .-. -.-- / .. -. ... - .- -. - / -.- -. --- .-- / - .... -.-- ... . .-.. ..-. / --- .-. / -.. .. . / - .-. -.-- .. -. --. Based on Morse code above, it is possible the solution could be: 1 force . 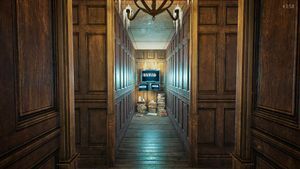 This is a speculation since the victory sound is not played when the door is opened, which is the usual signal that a given room has been solved. Take the first letter of each line to derive 1 fabriko. DIRECTIONS: Follow the Blue Paint, then break off, follow papers. Take a left at pink light/finger, Right 3x (Hand on last), (Left then Right) 3x, Left 2x, Take 2nd left, Left, Right, Left 3x (last is away from a door), Right 2x, Left 4x (through lots of doors). 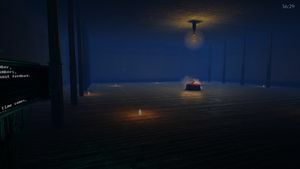 CLUES: A certain candle, located at the end a dense but short zig-zag of candles which starts in a pit, can be clicked to trigger the Victory sound. After the sound plays, the sky becomes slightly lighter for a short period, and in the top-left corner of the screen, these 1x1 pixel dots appear vertically. The dots on the left of the image are the ones which appear. Those on the right are spacing dots superimposed to measure the distance between dots. 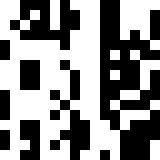 33 spacing dots were chosen because the game calls the dot file 33 times when rendering the dots for the first time. The spacing in the image is therefore speculative based upon this 33 dot assumption. The dots sometimes appear stretched at certain resolutions. The word resulting from this completion has yet to be located, and the dots have yet to be accurately converted into usable data. This website script allows for testing of different 33-letter combinations against the dots, which, in this theory, act to sieve out words from the phrase. There is also a "secret" clippable cliff-face which can be passed through. Landmark map. SOLUTION: 5 pagluwa - Obtained by: Rot13 of the dots sequence interpreted as Morse code. DIRECTIONS: Follow the Blue Paint, then break off, follow papers. Take a left at pink light/finger, then Right 3x (Hand on last), (Left then Right) 3x, Left 2x, Take 2nd left, Left, Right, Left 3x (last is away from a door), Right 2x, Left 4x (through lots of doors), Right (Green carpet turns to red + door), Left 2x (Pass two doors), Right, Left, Right, D, Right 4x, Left. Even Luther Cary, my old friend, couldn't compete (and he held the record!). Try it yourself. But don't miss a turn. 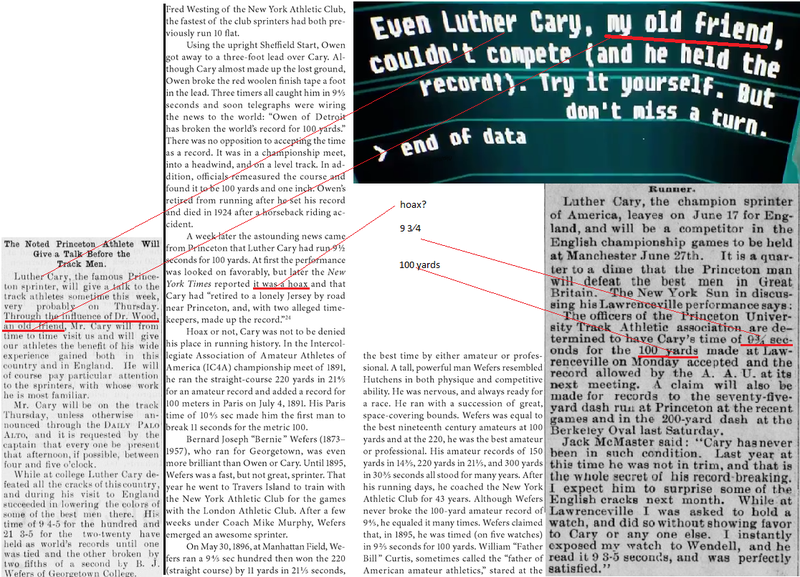 Albeit a reach, several old articles detailing Luther Cary and his racing do contain similar phrasing to the Enigma. If you want to race Luther, here is a timed pace video to help you beat him. SOLUTION: 8 perro - Obtained by: Requires use of Cheat Engine in order to cheat the timer. 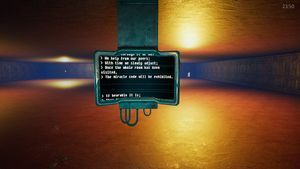 Follow the above Cheat Engine instructions with the alternate config. When it hits 0, the Nice Song! bitcoin/mayor song will play, and the Pits room loads no matter where in the maze you are. 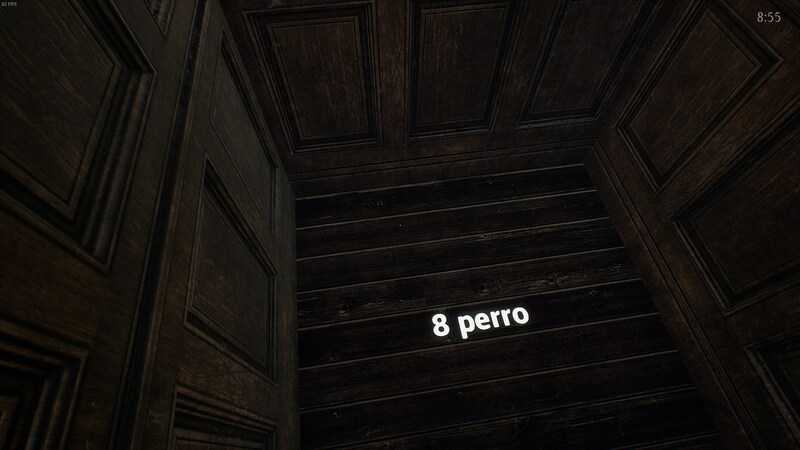 Go to the pits room, the blocked pit with the word 8 perro in it can now be fallen into. The reason this is considered proof of solution is that Luther Cary was suspected of cheating in his race because he couldn't make the time, which is presumed to be referenced in the Enigma (see CLUES). Thus, the player cheating in the game by hacking the timer (triggering the song) is the trigger for the blocked pit, and coincides with Luther's cheating in his race. Additionally, there are few other reason why the Pits room would load when the timer hits 0. DIRECTIONS: Follow the purple paint. With the help of the bird it should be alright. CLUES: A series of tweets by the developer's twitter beginning Feb 16th included pictures of the mayor in different poses. Each picture has a word hidden in the bottom-right corner. Clicking on the statue of the mayor in the room brings you to one of these tweets. SOLUTION: 2 reprodukcja - Obtained by: Hidden text on bottom right word of twitter image in which the mayor's pose matches that of the Goblin statue. DIRECTIONS: Start at yellow paint, then pass through Pi room stairs. Follow paper trails directly to enigma. 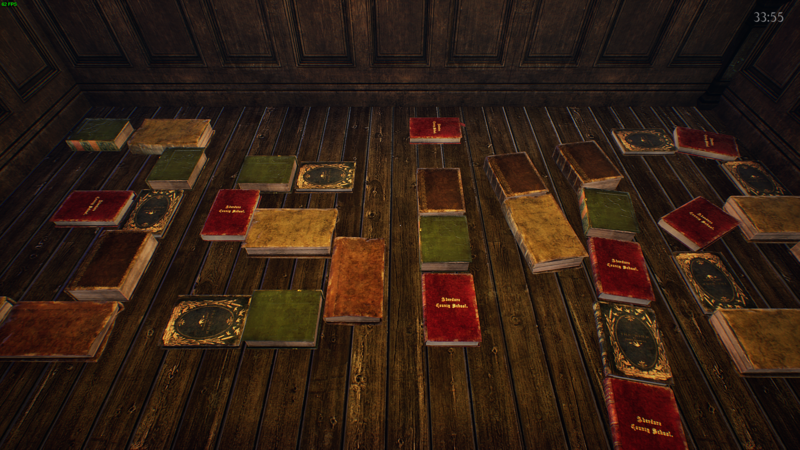 SOLUTION: 8 optree - Obtained by: Image for the "This specific wall" achievement shows the word. 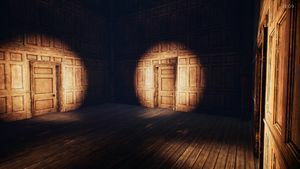 Obtain the achievement by running through the wall in the room while facing it, then picking up the compass behind the wall. DIRECTIONS: Follow the Yellow Paint, then break off, follow papers to Blue Room. Turn around, 2nd Right-hand, Left-hand, D 3x, Left 5x, Right, D, Right, D 4x, Right, D 2x, Right 3x, Left, Right 2x, D 2x, Right, D 2x, Left, Right, D 3x, First Left, Right, First Left, Third Right, Left 2x, Right 2x, D, Right, D, Right, Left 2x. Accuracy is what matters at the end of the day. SOLUTION: 3 siya - Obtained by: Being at the Routine room at 3:33 AM system time (literally your computers time) causes a door in Routine to open, revealing the books forming the word. DIRECTIONS: Follow the Blue Paint, then break off, follow papers. Left at pink light/finger, Right 3x (Hand on last), (Left then Right) 3x, Left 2x, Second Left, Left, Right, Left 3x (last, door behind), Right 2x, Left 4x (lots of doors), Right(Green carpet turns red + door) <-marker, Left 2x, Right, 2nd Right (by skipping Ep), D 2x, Left, Right 2x, (Skip first left), Door, Left x2, Right, Second Right, Door, Right 5x, Left, Right 2x, Left 4x, Right 2x, Left. speed is less important than stamina. SOLUTION: 2 tuhinga - Obtained by: Catch the white glass 500 times (or manipulate the value with Cheat Engine) to reveal a password (BP4aMYR9btxVfQPWAEaCzzBf9D6dUZc59bKDQ62Cd3HcNSYXcszWfgaMXThf). The password revealed is for Data3.png, a file within the game files. Change the extension of Data3.png to .zip and unzip the contents using the revealed password to reveal the solution image. DIRECTIONS: Follow the blue paint, then break off and follow the papers on the ground to the Server room. Take a left a the pink light/finger, then Right 2x, Right-hand, Left then Right 4x, Left. 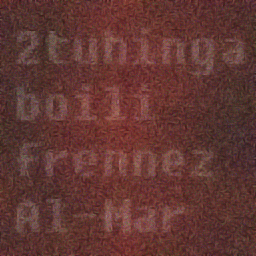 CLUES: Transcriptions of text which appears on walls when machine time is set to 03:33:00 AM. All clues found within BP_En8Manager.uexp file. SOLUTION: 6 okpu - Obtained by: Input all the characters virtually (ie cannot use a macro), revealing the word. 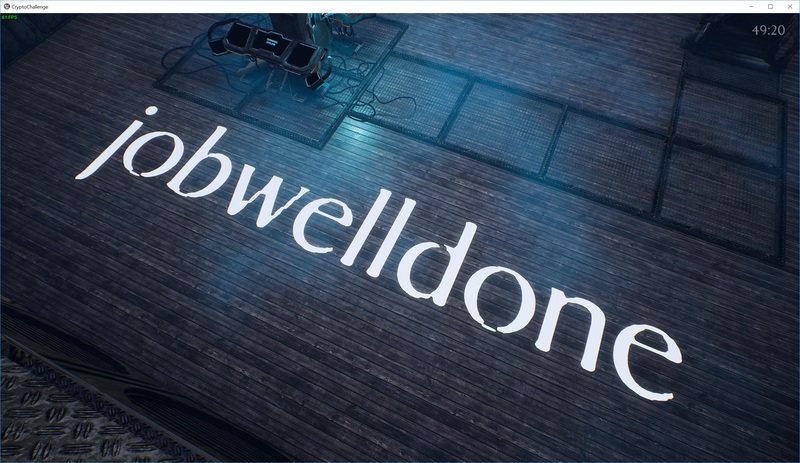 Most easily accomplished with a script or program (to use the script, execute it then immediately restore the game window, input will start after 3 seconds). DIRECTIONS: Follow the yellow paint. On March 14th it gets amused. Keep it in mind, later you will need it. 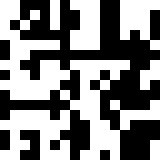 SOLUTION: 3 prevoditi - Obtained by: Scanning QR code found at the top of stairs. 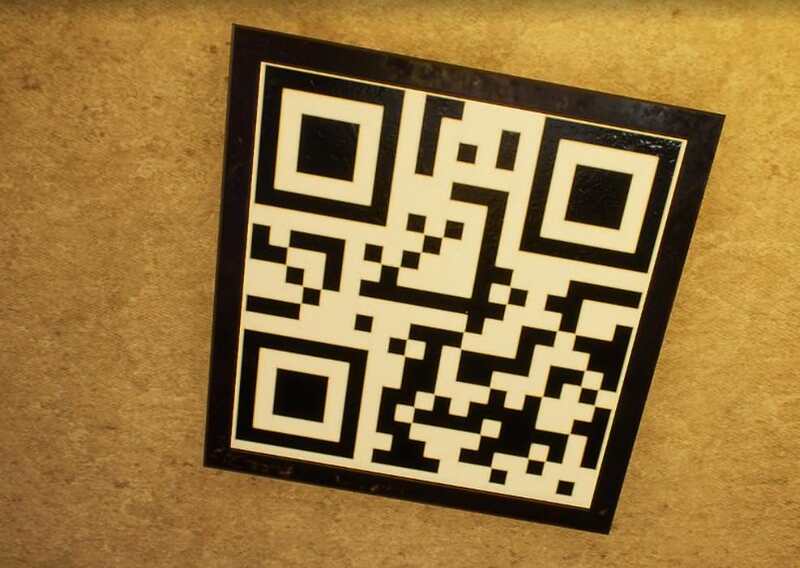 The answer to the enigma, which opens the door revealing the QR code, is Pi. March 14th is Pi day, Pi + e = Pie. Needing it later likely refers to whatever the use of the Pi 121-144 sequence is, seen elsewhere in the game. DIRECTIONS: From the Pi exit stairs, take a left-hand. Then Right, Left, Right 3x, Left 2x, Right 2x, Left 2x, Right. Could very well be passable. SOLUTION: 4 ukungqubuzana - Obtained by: Binary behind the window translated to ASCII. 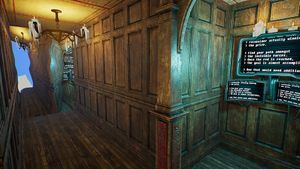 Find the window by walking through a wall at the end of one of the corridors in the room while facing backwards. DIRECTIONS: Follow the Blue Paint, then break off, follow papers. Left at pink light/finger, Right 3x (Hand on last), (Left then Right) 3x, Left 2x, 2nd left, Left 2x (pass two doors), Right, 2nd Right, Right 3x, Left, Right, Left 2x, Right, Left 2x, Right, D, 2nd Right, D, Left. CLUES: The chair in the room is of some importance. There are likely 52 triggers within the room that must be active in order to complete the room (the video features a "non-conventional" solution). The fan sound and chime sound throughout the room are directions. In the game files, chime is right sound and fan is left sound. The sounds play to direct the player which way to turn to get silence again, chime being to the right and fan being to the left. 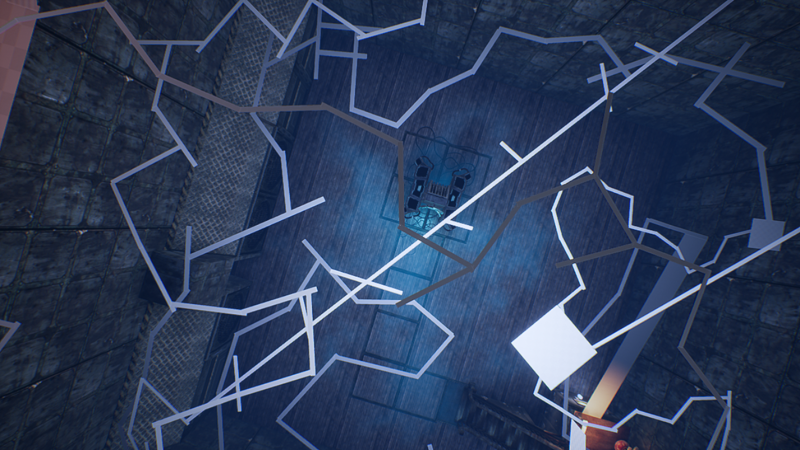 Data map of coordinates mapping the invisible path in the room (3D version), gathered by a player dropping from the ceiling and adding a point for each collision. Texture used to map the word. 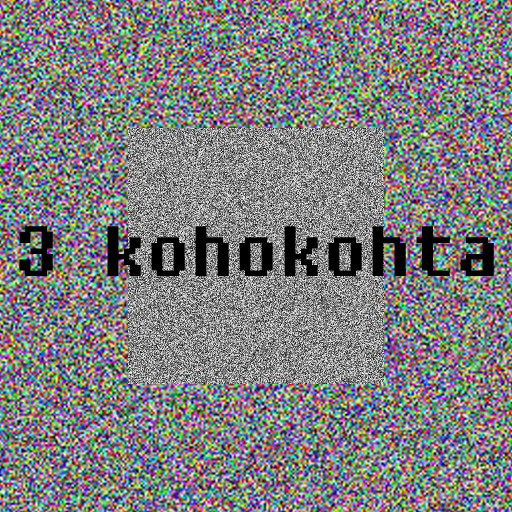 SOLUTION: 3 kohokohta - Obtained by: Password for 2t2.zip (jobwelldone) was found in the game files within the manager for the room first, then in the game. Using the password enables extraction of 2t2, which contains the word image. 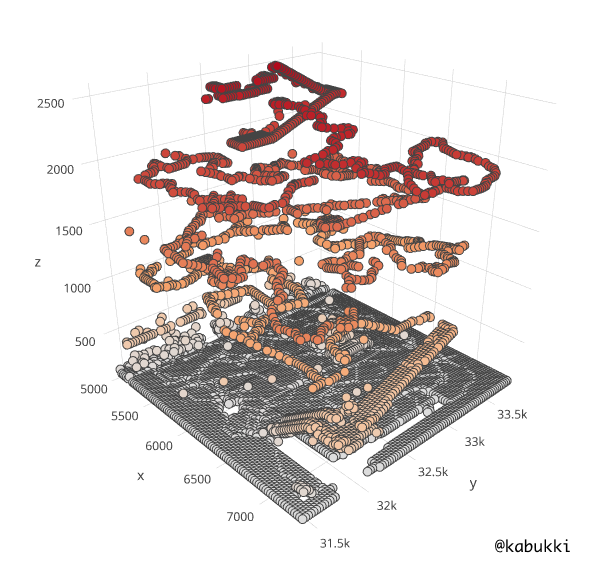 The room was reverse-engineered based on making its invisible path visible using this umap file (replace the original in your unpacked game files). 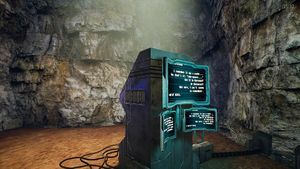 To obtain the password, solve the room using these teleport coordinates with this dll. 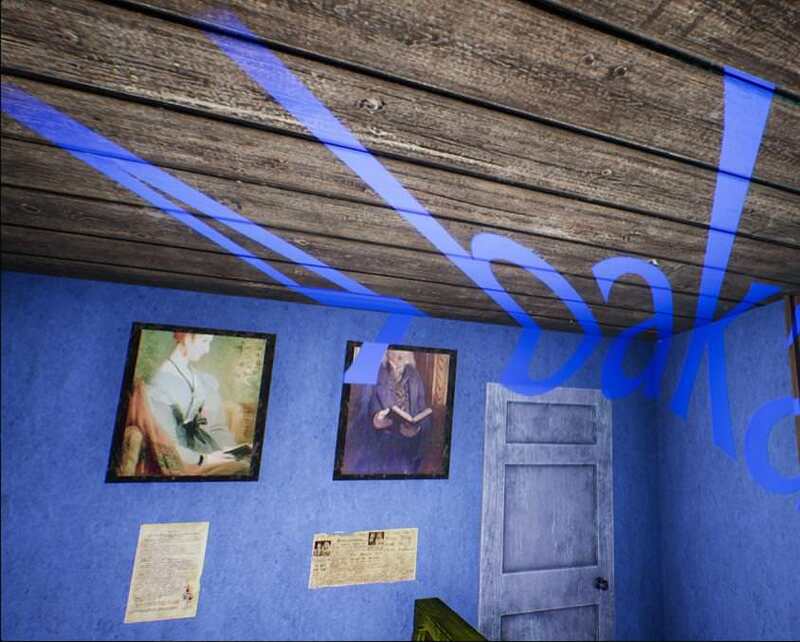 Or, you can simply remove two files (BP_En4CheckPoint.uasset and BP_En4CheckPoint.uexp) from your unpacked game files, then noclip to the balcony in the room to obtain the victory sound and reveal the password. The password will appear on the floor. DIRECTIONS: Follow the Blue Paint, then break off, follow papers. Left at pink light/finger, Right 3x (Hand on last), (Left then Right) 3x, Left 2x, 2nd left, First right, First left. One sequence, and out he flies. CLUES: Per game files, solution is very likely to be 9OGLES. However, unlike the game files version, in-game features of the Braille code lack a number modifier, which would result in IOGLES. 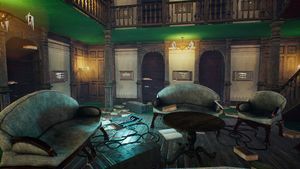 Although not revealed until after the game's completion, the community discovered, largely thorough the help of Austin's disassembled BP code, a short sound fragment which plays right after the player goes through a valid door (open closed door -> pass through -> door closes -> short sound). See the technique in action here. 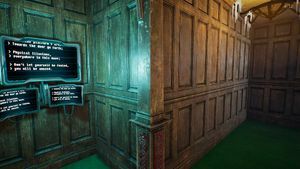 If the player enters an incorrect door, no sound will play and the room must be restarted. So, simply write down the specific door if the sound plays and start over if it doesn't. The sound fragment is called S_En9LowWave. It is extremely low-frequency, almost inaudible. However, by modifying the BP (change hexadecimal offset 667 in file BP_En9Manager.uexp, change the byte from 40 to 42 (hexadecimal)), another more audible sound (S_End4Crash) can be forced to play, indicating the correctness of the method. Alternatively, players reasoned they could install an Equalizer that allows for control over frequency bands in real-time. 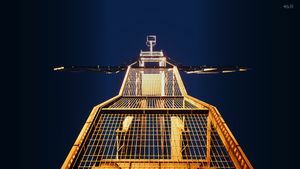 By dropping all the high frequency bands to 0 dB and raising the low ones to higher dBs, even the original low-frequency sound can be made audible enough to work with. SOLUTION: 9 ogles - Obtained by: Walk through 164 total doors in a specific combination, seen below. Braille is formed on ground visible from above. DIRECTIONS: Follow the blue paint. jump from rock to rock. If fall you do, find the stairs and start over. Soon enough the secret will be yours. SOLUTION: 0 construct - Obtained by: Rock jumping puzzle. Literally jump on the rocks. DIRECTIONS: Follow the yellow paint, then break off and follow the papers. Find your path amongst the invisible forces. Once the red is reached, the goal is almost accomplished. One that would need additional clues for this one should reconsider actually winning the prize. SOLUTION: 0 nodo - Obtained by: Audio sped up from blue room that plays after standing on the red rectangle. A clear recording of the audio can be heard here. DIRECTIONS: Follow the yellow paint, then break off and follow the papers. Then, Right-hand 2x, Left-hand, D 3x, Left 5x, Right 7x through many doors. TEN of which are dying. You are here trying to understand. Lurking in the sky and our city. CLUES: Take the first letter of word from each line of the enigma. The words STAY STILL are spelled out. The words TEN and TEN MINUTES are written in all capital letters in the enigma. SOLUTION: 4 bakar - Obtained by: You must stay completely still in the room for 10 minutes. DIRECTIONS: Follow the Blue Paint, then break off, follow papers. Left at pink light/finger, Right 3x (Hand on last), (Left then Right) 3x, Left 2x, 2nd left, Left 2x (pass two doors), Right, 2nd Right, Right 3x, Left, Right, Left 2x, Right, Left 3x. What was this strange creature? SOLUTION: 2 ondiep - Obtained by: Number 2 is hidden in spectrogram of victory sound, which plays after walking into light and holding flashlight on Fairy for 30 minutes. Based on three sound files datamined from the room which also contained words hidden in spectrograms, 1 szacuje pak/sound -> en3.uexp (spectrogram), 4 fallur pak/sound -> en4.uexp (spectrogram), and 2 ondiep pak/sound -> en5.uexp (spectrogram), this hidden 2 confirms ondiep as the correct solution. DIRECTIONS: Follow the Blue Paint, then break off, follow papers. Left at pink light/finger, Right 3x (Hand on last), (Left then Right) 3x, Left 2x, 2nd left, Left 2x (pass two doors), Right, 2nd Right, Right 3x, Left, Right, Left 2x, Right, Left 2x, Right, D, 2nd Right, D, Left, Turn around, go right, D 2x, Right 3x, L, D 2x, L, D(D)D, Left, Right, Left 3x, Right, D, Right 2x, Left, (room change), Left 2x, Right, Left. CLUES: Victory sound (signal of completion) plays after room is filled (or perhaps when certain spots are filled) with signs, but word solution is yet to be determined. Three horse statues spawn at coordinates X: 3199.0 Y: -811.0 Z: -3298.0 after the victory chime sounds. 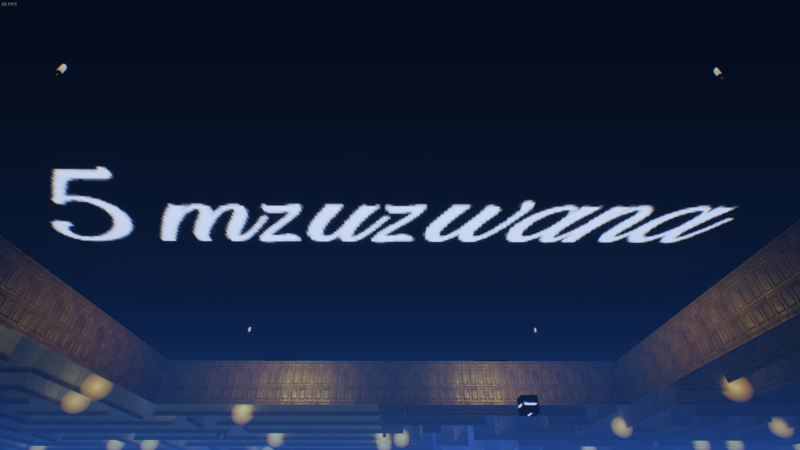 Texture used to map word. SOLUTION: 7 beunghar - Obtained by: 7 beunghar is the name of the texture file associated with the horse statue separated from the other two. 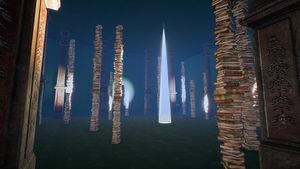 It is possible that "To shed light on the unknown" is a clue to look outside the perimeter of the maze. DIRECTIONS: Follow the blue paint. Then, break off and follow the papers on the ground. Take a right at the pink light, and you will have arrived. No one is as deaf as the one who will not listen. Sometimes, order comes from chaos. The servers are waiting to be activated. CLUES: Top-down view of servers labeled with their phrase. 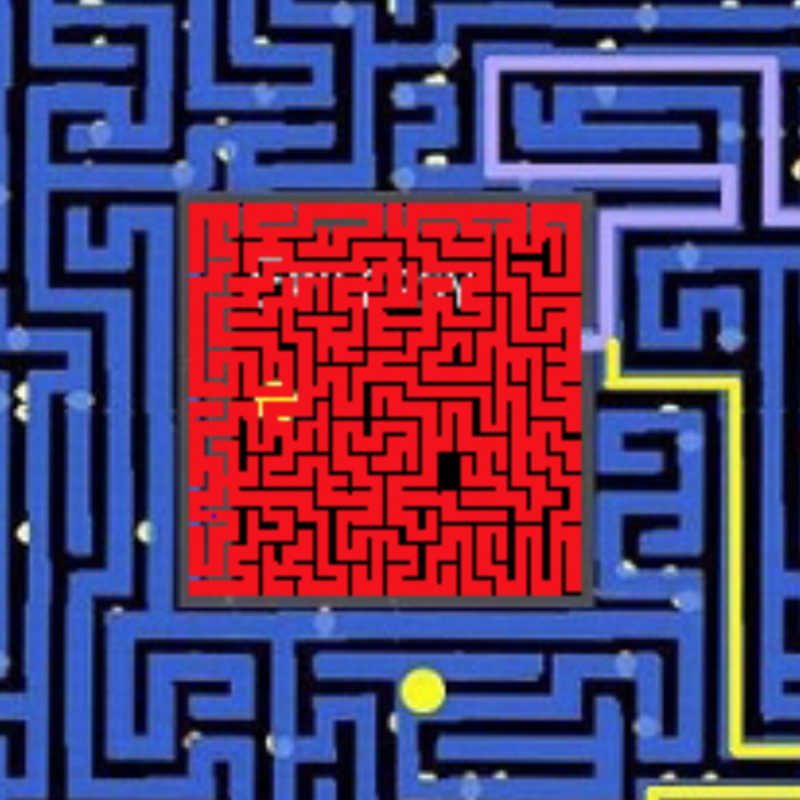 SOLUTION: 9 istisna - Obtained by: Order the talking computers to say the phrase: “I uploaded myself in the maze's computer. The circuits are my veins and the power is my blood." DIRECTIONS: Follow the yellow paint, the break off to follow papers to Blue room. Then turn around, Second Right-hand, then Right-hand, then Right. 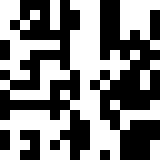 CLUES: Strange lines in \CryptoChallenge\Content\CryptoChallenge\Enigmas\Logic\En19\BP_En19Manager.uexp, PLEASEBEQUIETANDTAKEAREST and ASCII art of 0 colle. 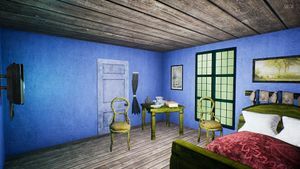 Texture file from the room showing several strings of characters. 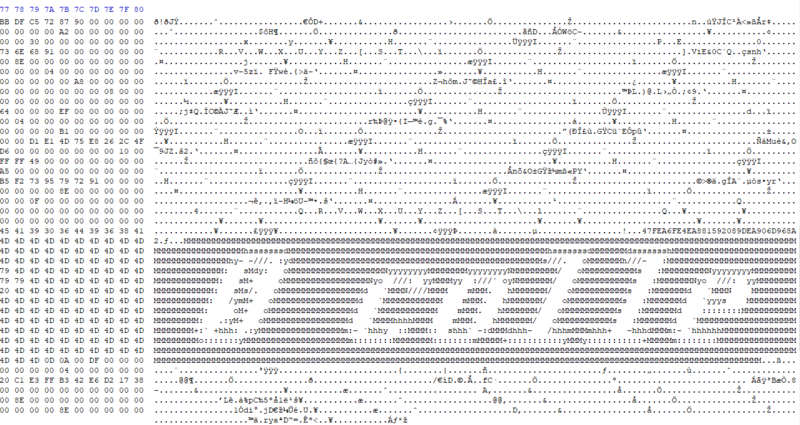 It is likely a texture map used to display the word once the solution is found. SOLUTION: 0 colle - Obtained by: Requires use of this dll file in order to follow the vibractor and a vibration-equipped gamepad. Enter the room and, using the dll file, search for the Vibractor entity via the nametest command. Teleport to it, the gamepad will start vibrating morse code one character at a time. A new Vibractor will be spawned after the vibration completes, teleport there and repeat this process 25 times until the phrase PLEASEBEQUIETANDTAKEAREST is output. Return to the room (the controller will begin vibrating non-code when you approach the room) and stand completely still there for 15+ minutes. The room will get quieter and the vibration will slow until it becomes silent, then the victory sound will play and the string of characters comprising the 0 colle ASCII art will appear. DIRECTIONS: Follow the Yellow Paint, then break off, follow papers to Blue Room. Turn around. 2nd Right (at hand), Right (Right hand), Right, (Walk into Candles and turn around), Left, Right 2x, Left, Right 3x, Left, Right, Left 2x, Right. Not sure, I can't seem to remember. 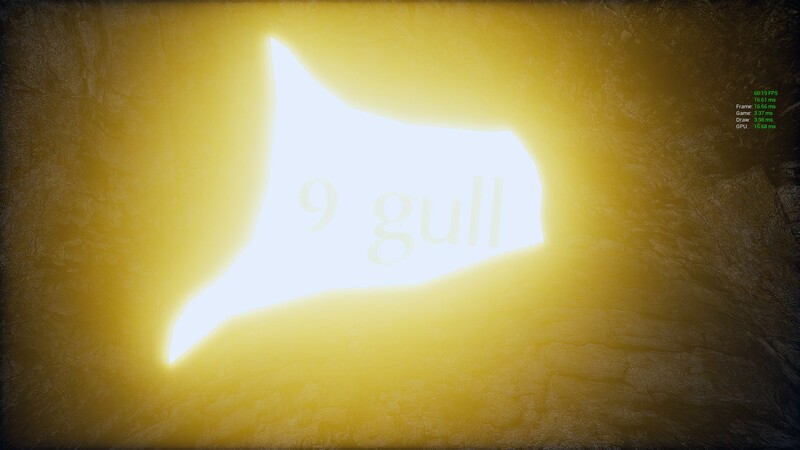 SOLUTION: 9 gull - Obtained by: Konami code (up, up, down, down, left, right, left, right, B, A) in room, then look at sky where word will be visible against light.